Trade Days 2019, the event, which saw mobility manufacturers and retailers from across the UK meet and talk business for two days at Birmingham’s NEC, has been cancelled. The end of the show was confirmed by the show’s organiser CloserStill Media, informing exhibitors that the tough decision to cancel the show was taken by both CloserStill and the British Healthcare Trades Association (BHTA). Originally the brainchild of former THIIS editor David Russell, Trade Days was launched in 2014 as Europe’s sole trade-exclusive show and proved a hit, with mobility trade professionals happy for an opportunity talk business openly in a relaxed environment. Statistics available exclusively to THIIS reveal that in the show’s first year, over 140 companies exhibited at the show, meeting 1,113 delegates. In the show’s second year, the number of exhibitors declined slightly to just under 140, however, more visitors attended the 2015 show, with 1,152 delegates visiting the NEC to talk business. Over the three years that followed however, the show saw a steady decline of both exhibitors and delegates, with many noting the reduced numbers of 2018’s event, leading to the show’s cancellation in 2019. 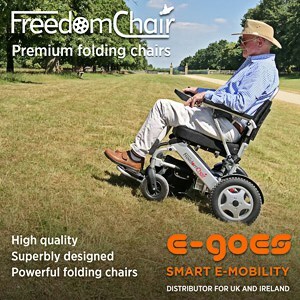 In an email sent to companies exhibiting at this year’s show, CloserStill highlighted that the mobility and independent living sector has evolved over the last few years, stating that “trading has becoming more difficult for all” and praising exhibitors support of the show over the years. Despite CloserStill highlighting that Trade Days exhibitors would have the opportunity to move bookings to its other shows, including Health+Care, the Care Show, and the OT Show, the announcement will come as a blow to many mobility companies that continue to operate exclusively through a trade network, as well as SMEs keen to meet a broad range of mobility retailers. Speaking with THIIS, Charlotte Gillan, Managing Director of Classic Canes – a regular Trade Days exhibitor – said that following the end of Trade Days, the company has decided to exhibit at the Pharmacy Show. “I know a lot of the mobility trade also visited the Pharmacy Show so it might be interesting to review what that show holds for mobility sector retailers,” she said. Recently, CloserStill Media was acquired by Providence Equity Partners, acquiring a majority stake from the company’s management, as well as private equity firms Inflexion and NVM, with reports estimating the deal to be in the region of £340million.